The reason behind its success in the US. The dating site is very popular amongst singles over 25+. In fact, since its release, over 40 million singles have used its services. We have tried Zoosk services to provide you a better insight about why this particular dating site is so successful. Registration in Zoosk is free and easy! You begin by creating your profile or “Date Card” and provide relevant information about yourself. Then, you have the option of filling in Zoosk compatibility test which is used to improve the matchmaking results. The Behavioral Matchmaking tool will start suggesting profiles of potential matches to you once you have completed the former steps. These profiles are suggested based on your activity on the site and profiles you have previously visited. Everything up to here is free on the site; however you need to become a paying member to start viewing who has been on your profile, to be able to send messages and chat. Zoosk is mainly designed for singles in the US who look for a serious relationship, but you can also find people who want a relaxed date. Users are very active on the dating site. Since we create our profile, we start receiving visits. You are connected with singles who share your same interests. Check the pros and cons from our Zoosk Review to find out more about the dating giant. Zoosk recognizes your preferences after analysing the actions you take while on the website and suggests you potential matches based on your behaviour. You don’t need to write a long description (unless you wish to) to find someone amongst the members. Zoosk does the job for you! The portal is a casual platform for serious dating, which as a result, it makes online dating fun and attracts lots of singles in America. Carousel View: Discover other singles by browsing through their profile pictures in the carousel. These users have been selected for you based on your interests. The more you use the Carousel, the more matches Zoosk will find for you; they will also be more accurate. By selecting your criteria: Enter the criteria for future partners, then Zoosk will search for profiles that match your criteria as closely as possible. The site will also propose you singles taking into account the Behavioral Matchmaking™ engine. Zoosk Scientific Matchmaking Service™: Discover a new potential partner on a daily basis. This tool will show you a new profile for a potential match every 24 hours. All you need to do is click “like” and if the other person clicks “like” as well, Zoosk then will introduce you to one another. By using Facebook: If you choose to, you can connect your Zoosk account to your Facebook profile. Then, Zoosk finds your friends who also are using the dating platform. If you prefer not to do this you can simply create an account with your email address. Have a look at Zoosk’s blog for tips and advice about online dating. Zoosk app: Meet singles in your area! There is a mobile version of Zoosk that gives you the chance to meet singles in your area right away! Over 40 million singles around the globe have tried Zoosk app. The reason behind its success is simple, you don’t need to spend hours using the platform to find a suitable match. With Zoosk app, you can find local singles who share the same interest and values. What are the main features of Zoosk app? Find local matches: you can connect with singles near you by browsing profiles or by using the tool SmartPick, which presents you potential matches! Use the advanced search tool: No one knows you best than… yourself! 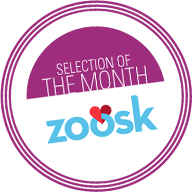 In Zoosk app you can use different criteria to search for like-minded singles from all over the US! Meet local singles in seconds: Zoosk app works in a global scale, but it first presents you profiles of singles who live near you! You can easily find someone special a few blocks from you! Photo verification: Zoosk app is totally safe to use. Users can confirm their identity by using the photo verification tool. They can also verify their accounts with their phone number and/or the social network profiles. The site is 100% secure to use. Every profile is evaluated before making it visible on the platform. Your information is encrypted and treated confidentially. The site promises to not share your data with third parties. There is a help center where you can find a very useful FAQ section with topics related to the dating site’s usage and online dating. If you have any extra query, you can also contact Zoosk customer service by filling a form. You will be asked to add your name, email address, subject and describe your query. There is also a online dating safety guide by Zoosk where you can find tips about finding love online and how to plan a perfect first date! If you have found your dreamed partner or simply want to stop using the platform, you can temporarily delete your Zoosk profile by hiding it. If what you want is to completely remove your account, you would need to go to your “Account Settings” and select “Edit” and then, “Deactivate Zoosk Account”. Perfect for serious relationships and fun dates! Whether you are looking for a long-term relationship or something a little less serious, Zoosk is a great dating platform for US singles wanting a more easy-going approach to online dating. In Zoosk, you online dating possibilities are endless: you can flirt, chat, make friends, find a fun date or start a serious relationship! Basic accounts are great to see how the dating site works and what type of users you can find, but if you really are looking for a complete online dating experience, we recommend you a Premium subscription. Being a Premium member can multiply your chances as you can enjoy some extra features, and can chat and message other users with no restrictions. If you want to know more about dating or want some good tips, we’d recommend you check out Zoosk blog. In there, you will also find a series of success stories. A sign that Zoosk is very effective creating couples. If you are tired of classic matchmakers, and you want something that’s more interactive, social and fun, then Zoosk is the right dating site for you! After all, over 40 million singles cannot be wrong!